HTC is having a hard time competing at the highest level of the smartphone market lately, but its latest smartphone might be what was needed to turn the tables. The all-caps name of the HTC DROID DNA is, for once, well deserved as this is certainly one of the most exciting smartphones we have seen lately. 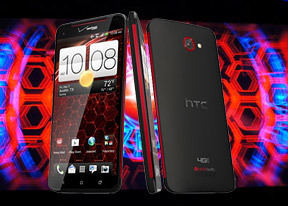 On paper the DROID DNA is the strongest candidate for the smartphone of the season title. The defining feature of the DROID DNA is the 1080p resolution of the display - that's over double the pixels of an HD screen. This pushes the pixel density to the insane 440ppi, leaving the 326ppi Retina display in the dust. 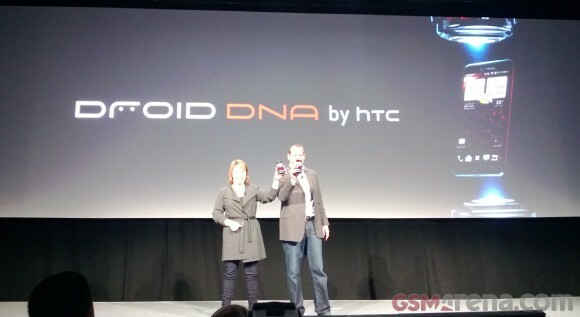 The 5" screen of the HTC DROID DNA uses Super LCD 3 tech - the One X used the previous generation of this tech, so we expect nothing but the best. 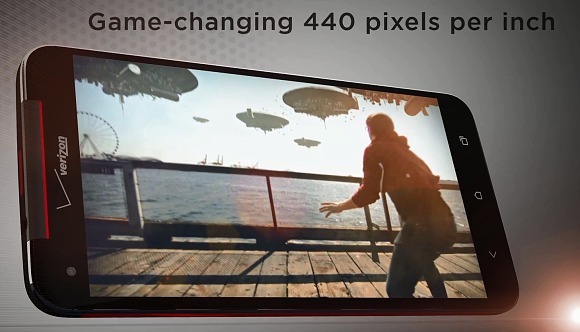 We'll be taking a closer look at it soon enough as we're at HTC and Verizon's New York event. The rest of the phone is nothing to frown at either - it's powered by the same Snapdragon S4 Pro chipset as the Google Nexus 4, which has four Krait cores, 2GB RAM and Adreno 320 on board. It has wireless charging too. Two crucial differences between the DNA and the Nexus (aside from the screen, of course) are the LTE connectivity, supported by the Verizon 4G network. HTC didn't stop there - they added some of their signature features to the phone. Sure, the latest Sense UI is present, on top of Android 4.1 Jelly Bean, but there's also the 8MP camera with F/2.0 aperture and ImageChip (which handles the advanced camera features) and Beats Audio with their 2.55v amplifier. 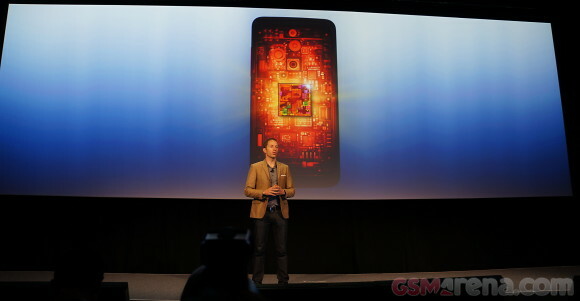 The only worry is that all of this is running off a 2,020mAh battery, which is smaller than what the HTC One X+ got. There will be a lot to test when the HTC DROID DNA gets in our lab, but we'll start with an on-site hands-on. Stay tuned - the live photos garnished with our first impressions should appear on the following pages shortly. U get htc one x + ... It is very beautifull than ur lumia 920, and always better in advantage and faster..